The DXN Registration UAE system is now available. Residents from United Arab Emirates can now sign-up to become DXN members/ distributors. 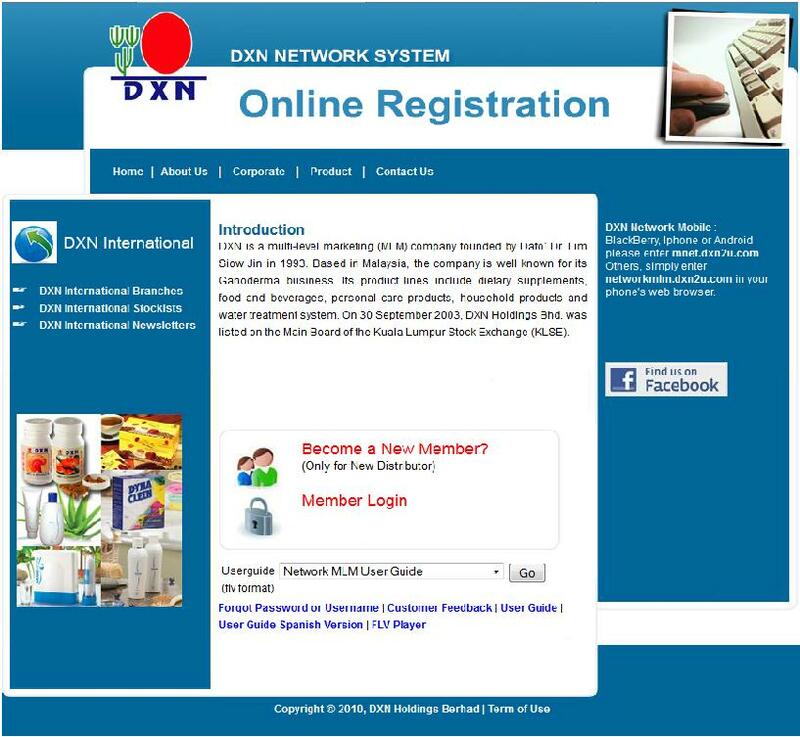 Please follow the steps below for the DXN Network System Online Registration, and provide the details that are being asked. The guide below has sample graphics intended for DXN applicants from United Arab Emirates. Your own DXN code will be generated with this guide for DXN registration online. 2. Select "United Arab Emirates" from the drop down menu. You are now a new DXN member/ distributor. You need to place an order within 6 months or your membership will automatically expire. A guide to DXN registration UAE online. Back to Home page now. The Health Manna website supports the online registration system of DXN Global worldwide. DXN Global is a direct-selling and networking company on natural health products primarily the Ganoderma products. DXN members and distributors under the Health Manna network have expanded to more countries. As new members join from other countries, they become sponsors to new applicants. If you are not a DXN member/distributor yet, you may want to join now by clicking the links below. If your country of residence is not listed below, please contact us for the instruction.